Oh my this last month flew by so quickly that I never even got the free events listings up. Hopefully the rainy days will soon be over, because there are lots of free events in South Florida. If you look around in your local community you will likely find lots of frugal family fun activities, and I have listed a few of the free activities and free events in Broward county below. The best places to start looking for free events is at your city website's calendar of events and at your local newspaper. Event Details: Greek food, dancing, music and Greek arts and crafts. When: Saturday, October 1st 2 - 5 p.m. Event Details: Live music, food and vendors. Music: Johnny Di'Luccio. Bring your lawn chair, no pets on property. Rain cancels show! When: Saturday, October 1st 4 - 5:30 p.m. Location: ArtsPark at Young Circle, Hollywood Boulevard and U.S. 1, Hollywood, Fl. Event Details: The City's Historical Preservation Board members are on hand this day to provide tours of Hallandale Beach's historic Curci House, a Mediterranean-style villa built in 1924 and affectionately nicknamed "Villa Providence." Event Details: SunTrust Sunday Jazz Brunch is an ideal way to relax and enjoy Fort Lauderdale’s scenic Riverwalk. This free, live, outdoor concert series brings the area’s best local jazz artists. Listen to the soulful sounds on four different stages on the first Sunday of each month from 11 a.m. to 2 p.m. Event Details: Dance on the Broadwalk or just enjoy the music. When: Tuesday October 4th, 2011 11 a.m. - 12 p.m. Event Details: Kids club for kids under 6 only! Stop by guest services to join the club. When: Tuesday October 4th, 2011 6 - 9 p.m. Event Details: Come see a family-friendly movie at the park. Event Details: Florida Humane Society will be hosting Dog Smarts, a free one hour seminar presented by Dawn Hanna, Certified Professional Dog Trainer and owner of Oh Behave™. This program will cover the basics of what dogs need to thrive and be a well behaved family member. Solutions for common problems experienced by adult dog owners and puppy owners will be discussed. A question and answer session will follow the seminar. The seminar is for humans only. When: Friday, October 7th at 5 p.m. 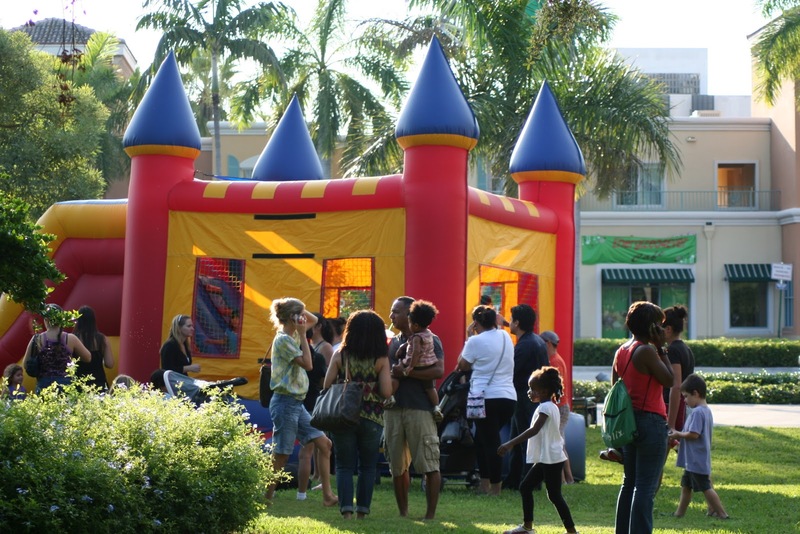 Event Details: Bounce house, face painting, balloon twisting, fun and games for the kids. When: Friday, October 7th 8 p.m. Event Details: Enjoy Greek food, beverages, and music! When: Saturday, October 8th 4 - 5:30 p.m. When: Tuesday October 10th, 2011 11 a.m. - 12 p.m. When: Friday, October 14th at 5 p.m. Event Details: Funtastic Friday to atthe Artspark Amphitheater. Bounce house, face painting, fun and games for the kids. When: Friday, October 14th 8 p.m. When: Saturday, October 15th 4 - 5:30 p.m. When: Tuesday October 18th, 2011 11 a.m. - 12 p.m. Location: East Las Olas Blvd. from Andrews Ave. to SE 16 Ave. Event Details: Experience special events and promotions at the shops and galleries along East Las Olas. Sidewalk musicians and art displays will add to the festive atmosphere. When: Friday, October 21st at 5 p.m. When: Friday, October 21st 8 p.m. Event Details: Come watch our special kids show off their riding skills! Watch a costumed horsey half time show. Join us at 2:00 PM for a public costume contest. Win a trophy! Public welcome to join us for pony rides, mini horses, hay rides, bounce house, ghoulish games, pumpkin patch, freaky fun and frightening food! Wear your costume! Event Details: Free Halloween Family Fun Event sponsored by Power Financial Credit Union with South Florida Parenting. Kids Crafts, Bounce House, Vendor Exhibit Area, Costume Contest*, Trick or Treat Candy, Florida Marlins Exhibit, Halloween Hunt, Music, Food & Fun, Child Car Safety Seat Inspections and more. Event Details: Art, music, food and beverages. When: Saturday, October 22nd 4 - 5:30 p.m. When: Tuesday October 25th, 2011 11 a.m. - 12 p.m. Location: Franklin Park, 2501 Franklin Dr., Fort Lauderdale. When: Friday, October 28th 8 p.m. When: Friday, October 28th at 5 - 9 p.m. Event Details: Featuring new artists, hand crafted items, raffle baskets and special events. Please bring nonperishable food items for our collection for a local food bank. When: Friday, October 28th at 5 p.m. Location: Downtown Delray, FL Trick-or-Treating will take place on Atlantic Ave. between Swinton Ave. & the Intracoastal. Event Details: Takes the kids for a morning trick-or-treating on Atlantic Ave. between Swinton and the Intracoastal from 11:30 a.m.-1 p.m. Then, go to the Old School Square Park and watch the Halloween parade which begins at 1:30 p.m. After the parade, head to Veterans Park and enjoy an afternoon of crafts, live entertainment and a safety and health seminar. Location: Ft. Lauderdale/Hollywood International Airport Station, 500 Gulf Stream Way, Dania Beach. Event Details: South Florida Parenting Kids Fun event with something for the whole family. Event includes a kids Halloween contest with prizes, food sampling, arts and crafts, a magic show and carnival-style games. Event Details: Kick off your Halloween celebration with a FREE "Spooktacular" event for the entire family. The afternoon of fun culminates with the Riverwalk Howl-o-ween Parade and Costume Contest for kids and pets. There will be fabulous prizes for Best Kid Costume, Best Dog Costume and Best Kid & Pet Costume Duo. Parade starts at 4:00 pm at Esplanade Park and ends at the Historic New River Inn. When: Saturday, October 29th 4 - 5:30 p.m. Location: Secret Woods Nature Center, 2701 W. State Rd. 84, Dania Beach. Event Details: Meet some unusual animals from around the world while learning about their habitats. For all ages. When: Saturday, October 29th at 7-10 p.m. Event Details: Enjoy safe Halloween fun for children of all ages at the ArtsPark at Young Circle. Safe trick or treating and concert by the Monsters. Come dressed in costume for the annual Hollywood Lakes Civic Associations costume contest. Event Details: Free: Bounce Houses, climbing wall, petting zoo, music. For a small fee: Pumpkin patch, food and beverages. Fun Contest for Kids of all Ages! Event Details: Children (PreK - Grade 5) and their parents are invited to visit any or all of the City's five fire stations for a safe and fun trick-or-treating experience! Fire-Rescue and Police personnel will be handing out goodies. Different treats and activities will be available at each station. Location: Dr. Martin Luther King, Jr. Community Center located at 2400 Charleston Street, Hollywood, FL. Event Details: This alternative Halloween event is geared towards bringing the community together for an evening of fun and games for the kids with bounce houses, face painting and music in a safe and positive environment. 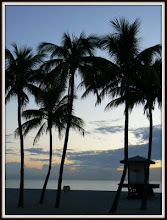 for the Florida Free and Frugal newsletter. *All dates and hours are subject to last-minute changes from the event organizers. Please call the contact numbers to make sure there has been no changes to the events. Hi!! I'm stopping by and following from Follow Me Back Tuesday. I hope you'll check out my blog Frazzled Mama at http://frazzled-mama.com and follow me back.